Good news always come with bad news. The good news is, this promotion will be available for those who register their new Honda City before the 30th of September 2013. However, the sad part is the stock for Honda City is limited. One month early booking is recommended for this model and please contact our Honda dealer at 019-3559448 for more info. Promotion ni still available ke? 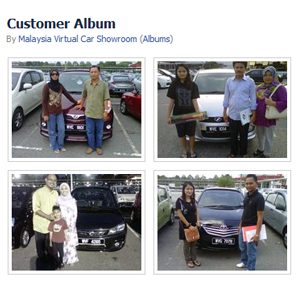 Sy berminat utk beli honda city S. Mcm mana sy nak tahu dgn lebih detail about this promotion? Hi Aziera, kami dah emailkan quotation. hi, promotion ini sehingga bila ye..? saya bergaji 2.5k dan setiap bulan gaji boleh mencapai 3k termsuk elaun..
jika sy mmbyar d/p rm5k . berapa harus sy bayar setiap bulan..? Still ada lagi promosi ni. Sila check email you utk dapatkan harga honda city tersebut. Hi Jim, quotation sent as requested. Kereta ade stok ke skrg? Kena buat tempahan. Sila hubungi kami di 019-3559448 jika berminat. Selalunya brapa bulan baru dpt kereta? Buat masa skrg dalam sebulan lebih sbb terlalu banyak booking di seluruh Malaysia. Im interest on it, can i have more further details? We have emailed you the quotation as requested. macam mana nak dapt monthly payment rm648 tu??? Hi, may I have the quotation for city s? How about the downpayment if i choose the low installment plan? Honda City S is no longer available. Would you be interested with E model? HI please email me quotation for city.And is the rm8000 rebate still available? Yes the rebate is still available but you have to make a booking as the waiting period may reach up to 4-6 weeks. Please email me the quotation for S model and what is the total rebate? Hi Andy, S model is no longer available. Interested with E / E+? Hi, I interested in Honda City Grade E for the discount of the RM8k. Could you give the quotation and can you give me the detail of the RM648 monthly installment also for comparison. Fyi, I now own a perodua Myvi 1.3SXi 2008 model. Could I trade in with you if I buy the new Honda City and what is the best trade in value you can offer to me. 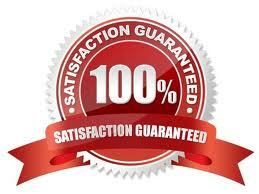 sure, we have sent you the quotation as well as the promotion. Please call us to find out your myvi’s market value. I interested to trade in Myvi 1.3 SXi (accident free) 2007 to buy new Honda City Grade E. Kindly PM the best trade in value and what is the latest offer from Honda? Need to wait for how long to get the new car? HI City, we have emailed you the details. You may want to make an early booking to secure the promotion availability. Please call us to arrange a meeting with our used car dealer and check your email for the latest price quotation for the new Honda City. Hi i am interested in with E model and may i know the availability and latest offer please? Sure, quotation sent for your perusal. Interested with e spec..got stock? No ready stock, waiting period is around 1-2 months now. Interesting of City E white colour. Can get it before CNY? pls send me quotation. Yes it is possible to get before CNY. Please check your email for the quotation. Hi, please email me quotation for city. Please check your email. Let us know if you have any further question. Hi Sandy, S variant is no longer available. How about E model? Do you have any discounts currently for City E+ model? interested. please send me quotation thanks. Hi, yes of course. Please check your email for more information. Hi Mr, we have emailed you the details as requested. Yes it is valid until end of this year. Please check your email for more information on the latest promotion. Sure, we have emailed you the latest price and promotion. Please make a booking asap as the stock is very limited. Irna, would you be interested with Toyota Vios? It has better fuel consumption. Interesting of City E brown colour. i know that the stock is very limited now…. if i book now… what should i do? can email me de quatation? Sure, just email us the documents as listed on our email. 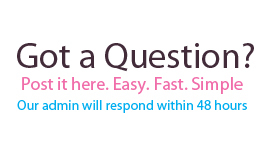 Please let us know if you have any further question. May I know what is the current rebate? still the same discount 8k or more? Hi, this model has been discontinued and it will be replaced by a new model. Please check your email. Hi, may I know the price for the new Honda City? Looking to trade in with Proton Saga BLM 1.3(A). Hi CS, Honda City model is no longer available and please check your email for detailed answers. any good promotion now ? 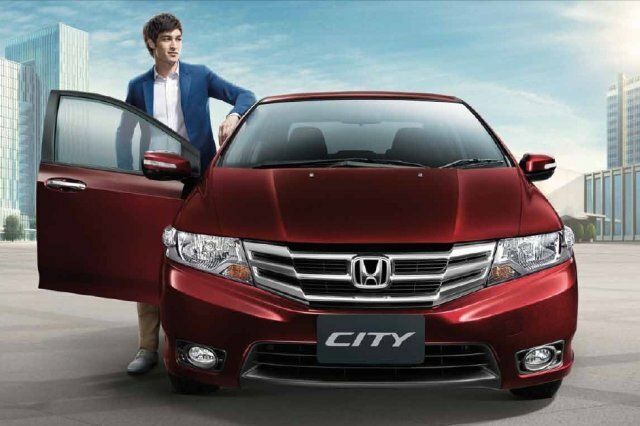 Honda City’s model has been discontinued and would you be interested with any other car model? Ada lagi discount rm8000 utk Honda city? Model ni dah tiada stock dah buat ketika ini. Masih ada stock City E+. Hubungi kami secepat mungkin sementara stock masih ada. saya berminat dgn honda city tp boleh ker trade in dgn proton saga fl yang baru pakai 4 tahun dan masih ada hutang 5 tahun. Salam Tuan, yes boleh trade in dan kami boleh uruskan segala urusan nya. Cuma kami kena make sure stock Honda City skrg masih ada lagi. This model is no longer available. Are you interested with the upcoming 2014 model? saw there is an installment as low as rm598 per month, Is the installment for Honda city 2014 model? any rebate? Hi TMF, this model is out of stock and you may want to wait for the newer model to be launched this March. for the newer version , is the low installment still applicable? hi, i am interest in the RM8k rebate honda city S / E, can you please email me the quotation. and my car is my v 1.5 (2010), any idea what is the market price right now? The current model is no longer available. Interested with the upcoming 2014 model? hi, ada apa promotion pada bulan Mac nanti bagi honda city? Hi Emma, model baru biasanya tiada promotion. Book dengan kami dan kami akan bekalkan dengan free gifts yang lebih menarik. Hi , pls email quatation new city 2014 to me , any package ? Hi Lim, there is no discount rebate is available for the new Honda City. Quotation sent. Please give us a call for more info.